Size: 16 ½" x 12" x 5"
Travel Gear – This leather WW II style Satchel has a classic vintage design, but the inside has been updated for modern day use. The WW II style satchel briefcase is produced by Scully, an American leather goods company that has been in business since 1906, and made bomber jackets during WW I and WWII. From the Aero Squadron line of travel luggage, the Satchel Briefcase is an ideal case for any aviator, pilot or airplane enthusiast that wants awesome style with good functionality. The quality of this WW II style satchel case is simply excellent. 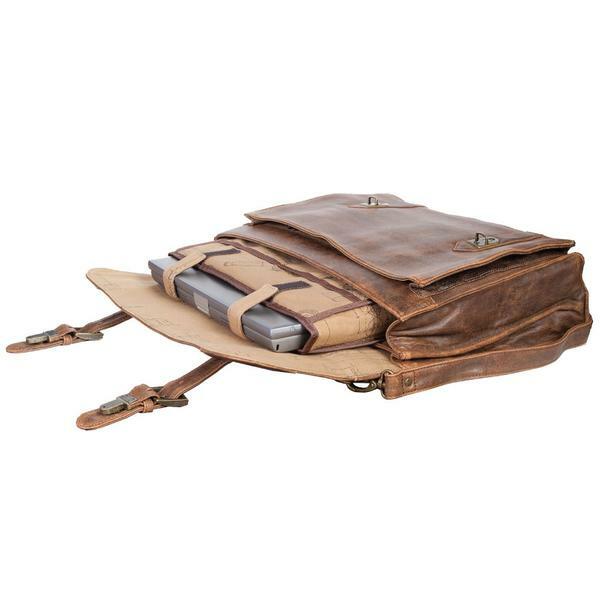 Made with lambskin, the leather has been distressed providing a classic, yet rugged vintage look. The color is a rich walnut brown that enhances the authentic look. 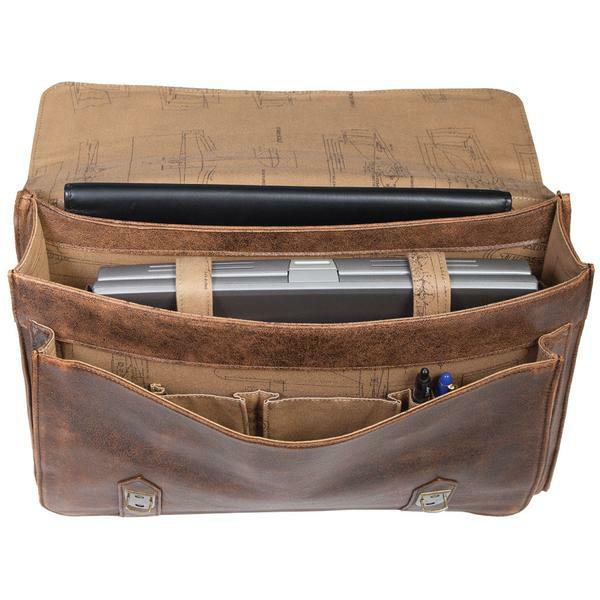 The inside has 3 separate gussets including a padded center gusset with a removable cotton laptop shuttle with airplane schematic lining. There is also an inside organizer for a mobile phone, business cards, pen, pencils, etc. Antiqued hardware, and a removable adjustable shoulder strap with faux shearling pad add to the aged design. 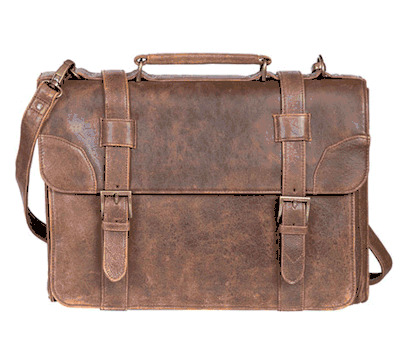 This imported WW II style Satchel Briefcase is both “plane” trendy and functional.